With Miss S' birthday party completed and successful, I'm officially in party planning mode with Baby Z's first birthday in May and Lil J's fourth birthday in June. Crazy how fast time flies! I've already picked out themes and booked venues. Now it's time to decide how crazy I want to get with the parties. I'm coming to the conclusion that Pinterest is either my best friend or my worst enemy. The amount of crafty ideas I'm filling on my Pinterest boards are enough to make my head explode. I've started to make multiple to-do lists on my iPhone - making sure I don't forget which project I've started and which ones need to be completed first. 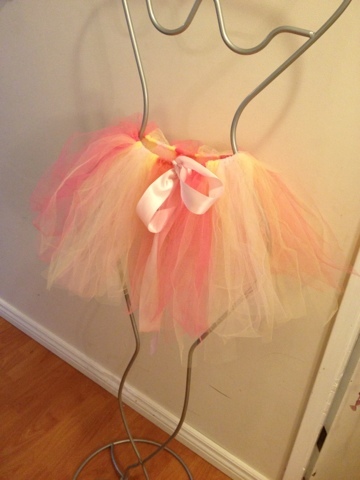 So far, I've finished Baby Z's pom pom decorations and tutu! Next, I'm going to create a "Happy Birthday" banner and some favour boxes. 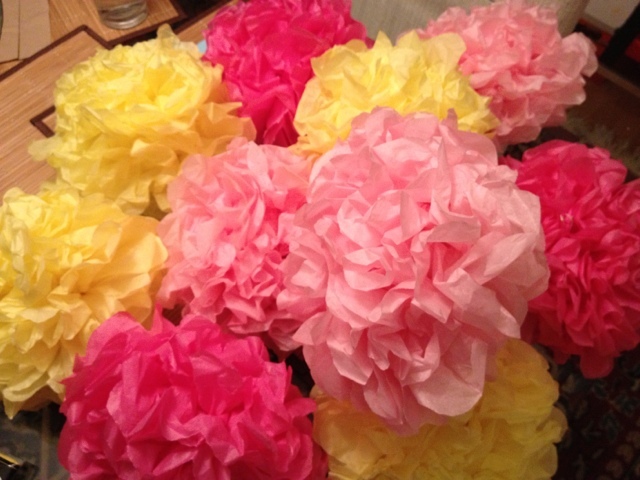 I also have to print out some favour tags and cupcake toppers, and possibly start a tissue paper garland. And this is just the start of the party madness! We'd love for you to share your birthday party posts with us! Please leave a link to your party posts below with the title of your party. Can't wait to see what all you party animals have been up to!